ALAMEDA, Calif. – Oakland Raiders S Charles Woodson announced today that he will retire from football at the conclusion of the 2015 season. Woodson retires after 18 seasons as one of the most decorated defensive players in league history. Over his remarkable football career, Woodson has excelled at every level. He is one of only two players (Marcus Allen) in history to win the Heisman Trophy, Associated Press Rookie of the Year, Associated Press Player of the Year and a Super Bowl over their career. He is a three-time first-team All-Pro and an eight-time Pro Bowler. Originally selected by the Raiders in the first round (fourth overall) of the 1998 NFL Draft, Woodson played his first eight seasons for the Silver and Black from 1998-2005. He was named the Associated Press Rookie of the Year in 1998 and was selected to the Pro Bowl in each of his first four seasons (1998-2001). He helped the Raiders to three straight AFC West titles from 2000-02 and an appearance in Super Bowl XXXVII. After the 2005 season, Woodson joined the Green Bay Packers, where he played for seven seasons from 2006-12. In 2009, he was named the Associated Press Defensive Player of the Year, becoming the oldest defensive back to ever win the award and the first cornerback since 1994. In 2009, he set a career high and tied for the league lead with nine interceptions. The following year, Woodson led the Packers on a run to the Super Bowl XLV title, as he started all 20 regular season and postseason games. 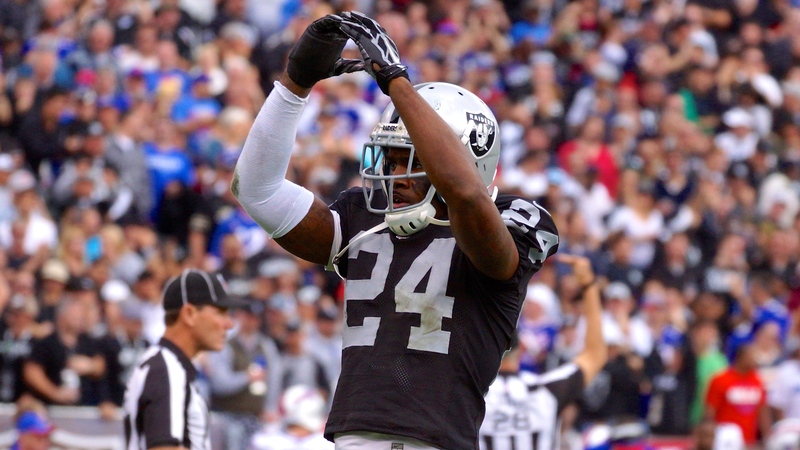 Woodson rejoined the Raiders in 2013, allowing him to finish his NFL career where it started. He has started all 46 games for the Silver and Black since 2013 and has totaled 10 interceptions. 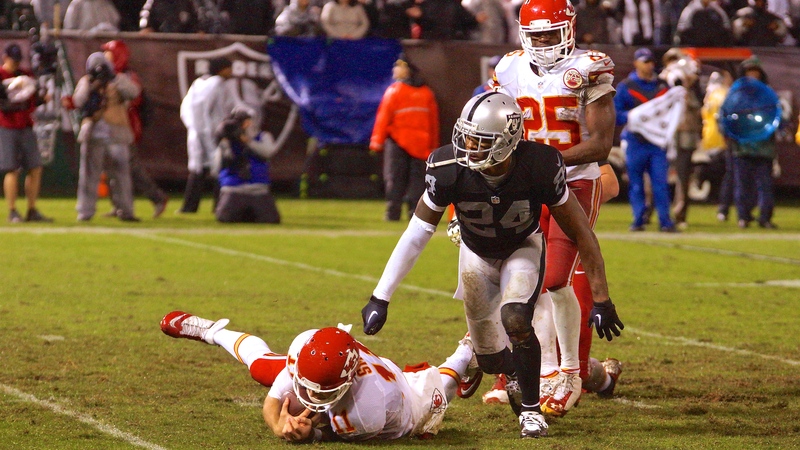 This season, Woodson was named the AFC Defensive Player of the Month for the fifth time in October after recording three interceptions. Since turning 39 in October 2015, Woodson has tallied three interceptions, making him one of only three NFL players to record an interception at age 39 or older. For his career, Woodson has played in 252 regular season games with 249 starts, totaling 1,363 tackles (1,065 solo), 65 interceptions (966 interception return yards), 11 interceptions returned for a touchdown, 227 passes defensed, 20 sacks, 34 forced fumbles and 16 fumble recoveries. He has played an additional 17 postseason games with 16 starts, posting 85 tackles (70 solo), one interception, 15 passes defensed, one sack, one forced fumble and one fumble recovery. At the University of Michigan, Woodson was a three-year starter and letterman from 1995-97. The Fremont, Ohio, native finished his collegiate career with three All-Big Ten and two All-American selections. In his junior season of 1997, he became the first predominantly defensive player to ever win the Heisman Trophy, helping the Wolverines to a 12-0 record and the Associated Press National Championship. · Woodson is one of two players in football history to win a Heisman Trophy, Associated Press Rookie of the Year, Associated Press Player of the Year and a Super Bowl in their career. The other player is former Raiders RB Marcus Allen. · Woodson is a three-time first-team All-Pro, an eight-time Pro Bowler and was named the Associated Press Defensive Player of the Year in 2009. He has been named the AFC/NFC Defensive Player of the Month five times. 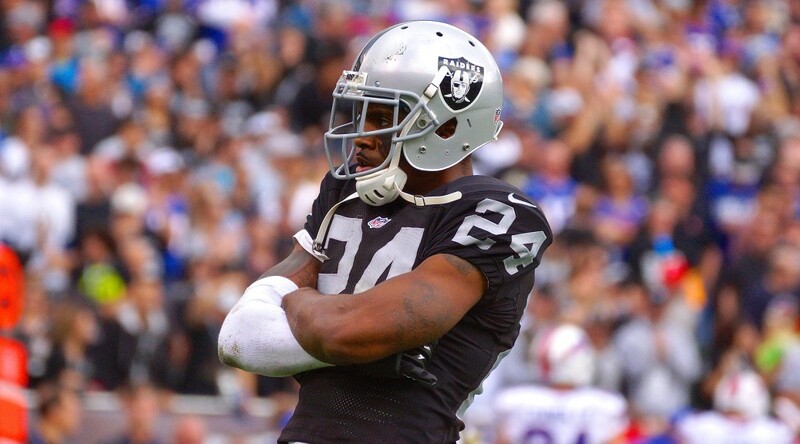 · The 1998 NFL Defensive Rookie of the Year, Woodson became the first Raiders defensive back to start every game in his rookie season since Jack Tatum in 1971. He finished his rookie campaign with five interceptions with one return touchdown and two forced fumbles. · In 1997, Woodson became the first predominantly defensive player to win the Heisman Trophy and is one of nine Heisman winners to wear the Silver and Black. · Woodson has recorded 65 career interceptions and is tied with Ken Riley (65) for the fifth most interceptions in NFL history and the most by any player not currently enshrined in the Pro Football Hall of Fame. · Along with Hall of Famer Darrell Green (19), Woodson is one of only two players in NFL history to intercept a pass in at least 18 straight seasons. · Woodson is one of three players in NFL history to record an interception at age 39 or older, joining Hall of Famer Darrell Green and Clay Matthews, Jr. With two interceptions on Oct. 11, 2015 vs. Denver, Woodson became the only player 39-or-older with two interceptions in a game. · Woodson’s 13 defensive touchdowns are tied with Rod Woodson and Darren Sharper for the most all-time, and his 11 interception-touchdowns are second all-time to R. Woodson’s 12. · In 2011, he became the first NFL player to record an interception-touchdown in six straight seasons. · In 2014, Woodson became the first player in NFL history with 50 interceptions and 20 sacks in his career. Later in the season, Woodson also became the first player to reach 60 picks and 20 sacks for a career.